Some new set photos of the 1990s-set period piece Captain Marvel shows Nick Fury as we’ve never seen him before in the MCU: with a full head of hair and both eyes intact. BRAND NEW CAPTAIN MARVEL Set Photos shows the first look at Samuel L Jackson as a younger Nick Fury. 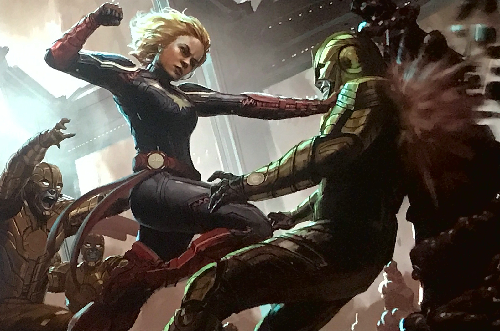 Captain Marvel will be released on March 8, 2019.